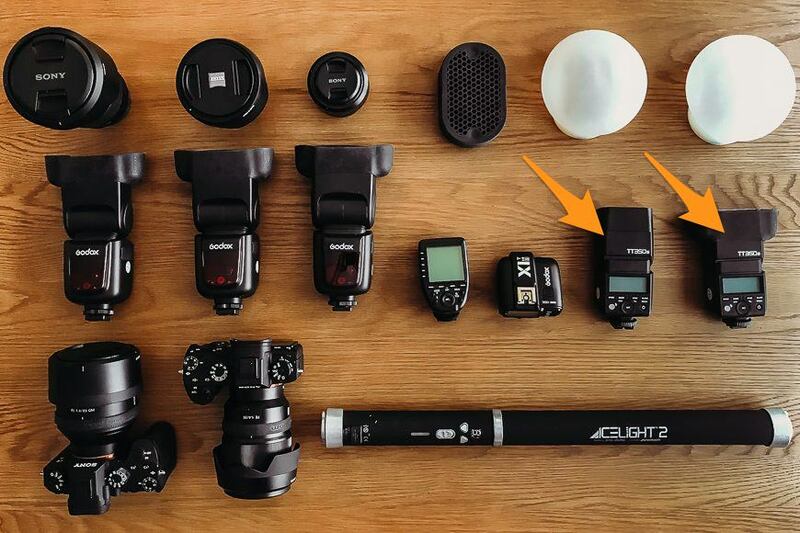 After receiving thousands of submissions to Shotkit by wedding photographers from around the world, I’m in a good position to show what is currently the best wedding photography gear, and what are arguably the best cameras for wedding photography. 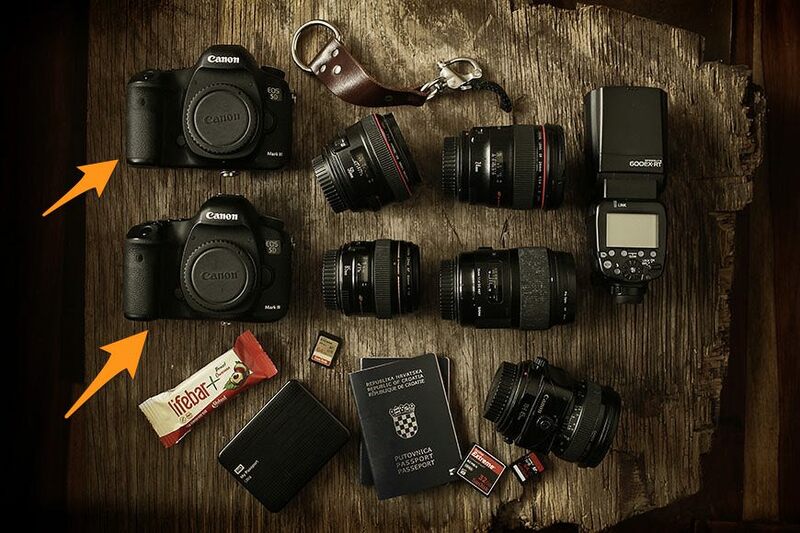 If you have the skill and ability, you can shoot a wedding with almost any camera gear. However, having faster, more reliable and better quality equipment will make your life as a wedding photographer easier and more efficient. 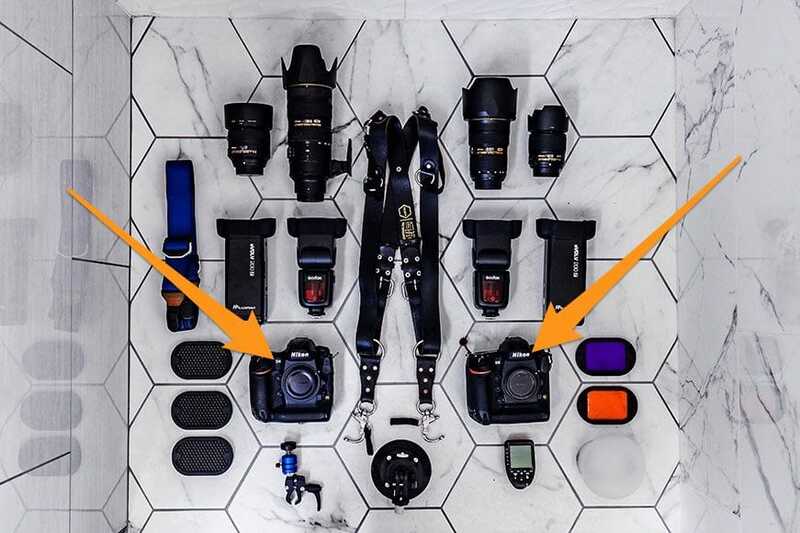 This post shows what is the most popular wedding photography gear in 2019 among the professional wedding photographers on Shotkit. These wedding photographers have used a vast array of different gear over the years, and have settled on what they consider to be the very best cameras for wedding photography, as well as the accessories that help them create better art. If you want to grow as a wedding photographer, remember that having great gear is just one small component to your success – education is far more important! Writing about the best cameras for wedding photography will always be a contentious topic. Whilst there’s no such thing as specific ‘wedding photography cameras’, you will find that wedding photographers do tend to gravitate towards certain models. 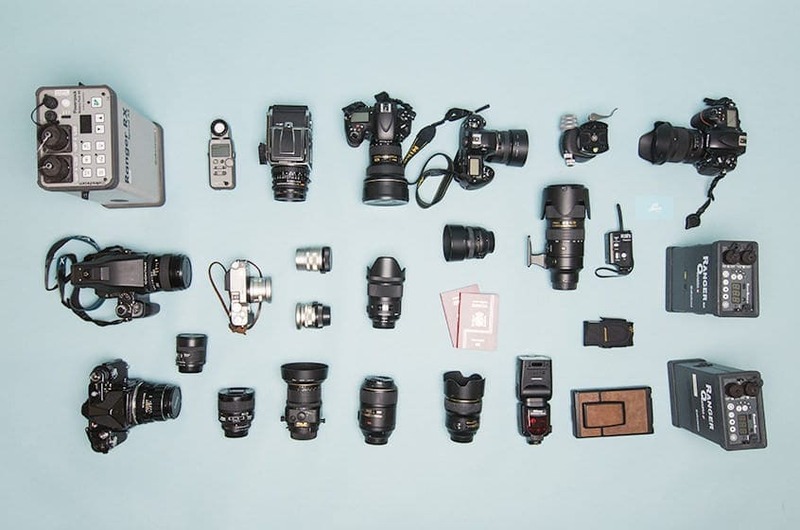 In 2019, the number of cameras for wedding photographers is at an all time high, with DSLRs, mirrorless cameras, full frame, crop sensor, film, and even medium format being used by pros all over the world. As the newest camera on this list, it stands to reason that the Sony a7 III should be packed with the latest and greatest technology on offer to wedding photographers in 2019. However, one pleasant surprise that has caused more photographers to ‘jump ship’ to Sony than ever before, is the incredibly attractive price of this little mirrorless marvel. For a little over two grand (see latest price here), Sony has created a camera that takes the best features from each of its other more expensive flagship bodies (Sony a7RIII and Sony a9), whilst improving on them in several ways. I use a Sony a7RIII for wedding photography, but dislike the huge 42.4MP files which tend to slow down my editing workflow. 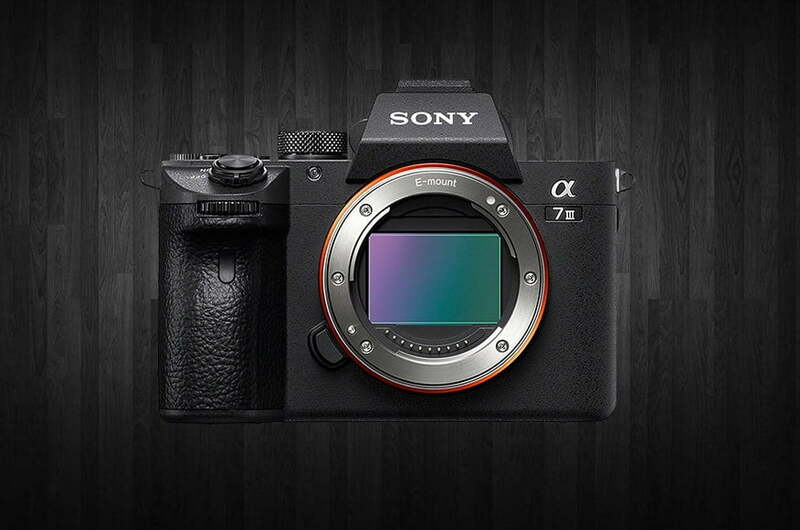 The Sony a7 III on the other hand offers a more manageable 24.2MP, whilst also offering the same incredible AF performance of the Sony a9… but for half the price! The whole Sony full frame mirrorless camera line-up is pretty confusing, with similar looking bodies and features that overlap each other. All you need to know is this – the Sony a7 III offers by far the best bang-for-the-buck for wedding photographers. It makes full use of all the advantages of mirrorless cameras over DSLRs, and offers more than any other camera on the market today. 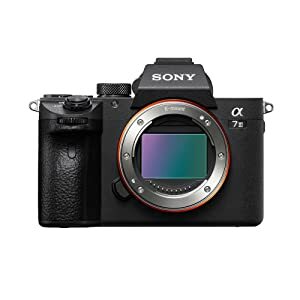 Whilst the other Sony full frame mirrorless cameras are also some the best cameras for wedding photography, it’s the Sony a7 III that will appeal to the masses. The only issue will be getting your hands on one! (Click here to place a back-order if you can’t find it in stock). Being able to place your AF point over 93% of the image area means obscure compositions are made much easier, without having to rely on the focus-recompose technique. 693 phase and 425 contrast AF points combined with 10FPS and Sony’s mind-blowing Eye AF (see an explanation in this Sony a7R III review) means you’ll never miss focus again. Then there’s the incredible high ISO performance, 5-axis in-body image stabilization, long-lasting battery, 4K2 video, touch/tilting LCD screen and other class-leading functions that make this the best wedding photography camera available today. Switching camera systems has always been hard, due in most part to the massive capital outlay required to make the jump. However, with the Sony a7 III and a selection of affordable Sony e-mount lenses, 2019 looks to be another year that Sony dominates the (mirrorless) wedding photography gear industry. Nikon had a tough year in 2017, with redundancies and fears of going under. Nikon needed to release a camera that would keep Nikon shooters happy, and cause Canon shooters to look differently at their 5D’s. This all came with the release of the Nikon D850. If you’re a Nikon shooter who’s happy with the frankly excellent Nikon D750, do not read on. Let’s get one thing straight – the Nikon D850 ain’t cheap (check the latest price here). However, if you make a living shooting weddings and want the best of the best, the asking price of this incredible camera is more than justifiable. (Check the Nikon D850 review). So what are you getting for your money? First off, you can take advantage of medium-format-like 45.7MP when you want to preserve every little detail of your wedding portraits. You’re also able to shoot smaller RAW files to preserve memory – something I wish Sony would implement! Then there’s a the BSI sensor, which offers an ISO range of 64 to 102,400, with files being shot at 12,800 still be more than acceptable for client delivery, ISO64 is a first for a Nikon DSLR, and means that you’re able to shoot with faster lenses (larger apertures) in brighter daylight. Wedding photographers rely on class-leading AutoFocus, and thankfully Nikon shooters needn’t shell out the big bucks for the flagship bodies any more. The Nikon D850 uses the same ultra-accurate AF system as the Nikon D5, with 153 focus points, 99 cross-type sensors and a dedicated AF processor offering 7FPS at 45.7MP. Another first for a Nikon DSLR is the tilting/touchscreen LCD which offers Touch Shutter – the ability to focus and shoot just by touching the screen. This is incredibly useful if you’re a wedding photographer like me who likes to get low or high with compositions. Moving from the Nikon D750, you’ll also appreciate the larger viewfinder which offers more comfortable and precise shooting. The only small annoyance for me with the Nikon D850, but one that is actually a plus point for many others, is the addition of the XQD memory card format. XQD memory cards are undoubtedly faster, but they’re also much more expensive – I’d have preferred two SD card slots, but this is just personal taste. Long story short – if you’re a wedding photographer who shoots Nikon, the Nikon D850 will be the camera you’re either saving up for, or have already and are saving up for your second! It’s just that good. 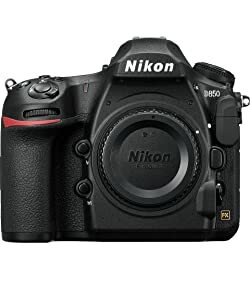 For the DSLR shooters out there who aren’t yet tempted by mirrorless, the Nikon D850 offers the best technology of any DSLR currently on the market, and is definitely one of the best cameras for wedding photography in 2019. After waiting 4 long years for an update to the game changing Mark III, Canon has turned the tables again with the release of the Canon 5D Mark IV. Whether it’s the best camera for wedding photography or not is still up for debate, but one thing’s for sure – this impressive dSLR has shaken a lot of feathers in the wedding photography industry. I’m not going to talk about the headline grabbing dual-pixel feature which allows you to fine tune auto-focus on a picture after it’s been taken, because quite frankly, I consider it useless for wedding photography. 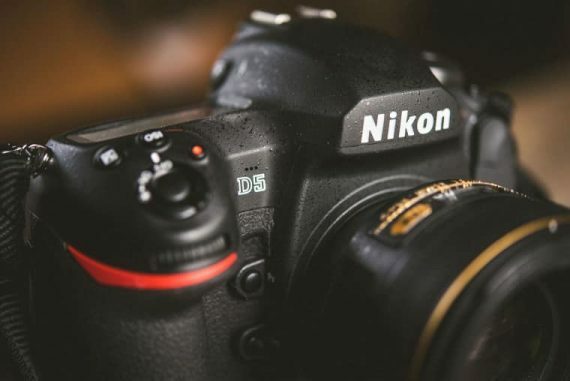 However, the other benefits of the updated CMOS sensor are considerable, and have caused many a Nikon wedding photographer to consider switching systems entirely. 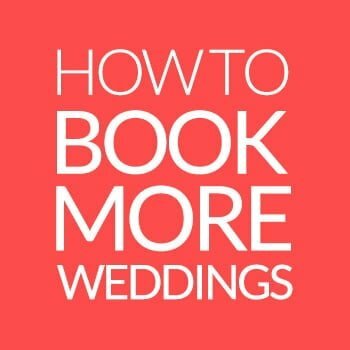 Several high profile wedding photographers including Sam Hurd have indeed done exactly this. So what is it that makes the Canon 5D Mark IV such an appealing camera for wedding photographers in 2016? Aside from the vastly improved autofocus when compared to the ageing 5d Mark III, the Canon 5D Mark IV also brings with it improved dynamic range, more mega pixels, better high ISO performance, continuous shooting speed, built-in wifi, a touch-screen and 4k video. It’s also lighter than its predecessor. Then there are the features that already existed in the pro-body Canon dSLRs that make other brand owners jealous such as logical menu structure, overlaid double exposures and those gorgeous Canon skin tones, all backing up what is already a very attractive camera. The one feature that really sets the Canon 5D Mark IV apart for many wedding photographers though is the speed of auto focus using the touch screen LCD. Simply by touching the subject’s eye on the rear LCD (for example), the camera quickly grabs focus, or even allows you to take the shot without pressing the shutter button. As anyone who’s ever attempted to control the focus point using buttons during Live View can ttest, it is a painful experience. The new touch-and-focus/shoot functionality on the Canon 5D Mark IV is reminiscent of much smaller cameras such as the Olympus OMD-EM-5 Mark II, and is a huge step in the right direction for photographers who rely heavily on Live View to preview exposures before shooting. It’s unfortunate that Canon didn’t add a tilt-screen LCD to the Canon 5D Mark IV – functionality that’s available with the competing Nikon D750, but arguably not a deal-breaker for Nikon shooters to remain faithful to their system. It should be noted however that the Nikon D750, whilst not offering the same advances in technology as the Mark IV, is currently around half the price. Whilst the dynamic range improvements over the Mark III are considerable, the Canon 5D Mark IV hasn’t really set any new industry standards with its improved sensor. After a 5 EV push, it’s well ahead of the other Canon pro line DSLRs, but still behind the Nikon D810 and Sony A7R II when comparing extreme highlight/shadow recovery. However, what really matters is the huge improvement in ISO noise over its predecessor. Finally, Canon shooters are able to underexpose to protect highlights, then boost shadows in post to achieve an image with wide dynamic range – a technique employed by Nikon shooters for several years. This said, ISO performance is still not on par with the Nikon D750, and other cameras in this league. 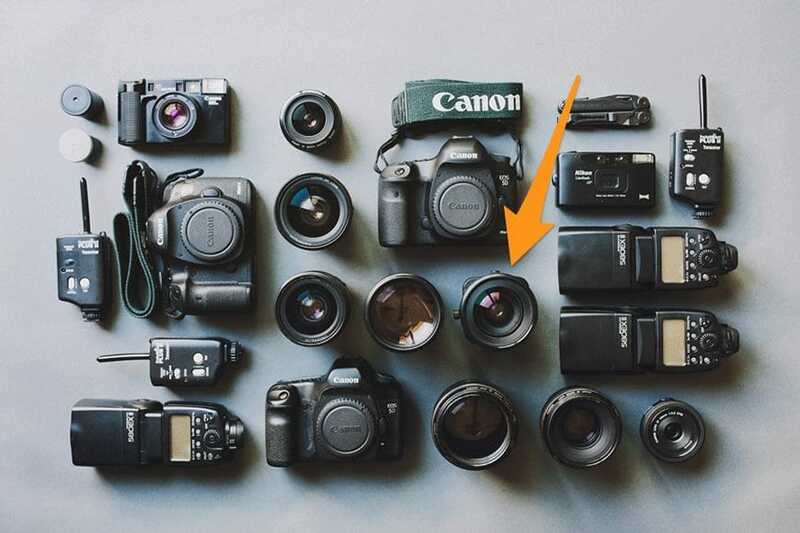 Despite the high price, there’s no doubt that many Canon wedding photographers will make the investment and upgrade to a couple of Canon 5D Mark IV bodies. The advancements in dynamic range and ISO may not be significant when compared to Nikon/Sony offerings, but when combined with the latest technology and some show-stopping features, the Canon 5D Mark IV is still one of the best cameras for wedding photography available this year. Here’s a more in-depth review of the Canon 5D Mark IV. The Sony Alpha line of cameras is confusing and a little overwhelming. Sony releases update after update, leaving us with a plethora of choices. However, if you’re looking for arguablythe best mirrorless camera for wedding photography, ignore everything else – the Sony A7R III is it. The Sony a7III offers the best bang for the buck, and even trumps this here Sony a7R III in auto-focus and high ISO performance. However, what it lacks in is high resolution. Although having those massive 42.4MP files may slow your post processing workflow (check here how to speed up Lightroom), it also proves incredible useful for lazy wedding photographers like me! Lazy or smart, you decide, but being able to crop into files without losing much detail is a real time saver for me. I assign one of the custom buttons on my Sony a7R III to ‘APS-C crop’, which means that during a wedding, I can switch from my 35mm lens’ field of view to around 50mm…just by pressing a button. During the speeches, I do the same thing with my 85mm lens, converting it instantly into a 130mm-ish lens. Being able to get ‘instant-reach’ on any lens means less time faffing with lens changes and less gear in my camera bag. The additional mega-pixels are obviously also very useful for more aggressive cropping during editing. In-body image 5-axis stabilisation allows you to hand hold the Sony a7R III at slow shutter speeds and still produce tack-sharp images. It’s good to know that ISO climbs up to 102,400 if you do need it! Eye AF is akin to voodoo magic, with the camera locking onto a subject’s eye with eery precision. 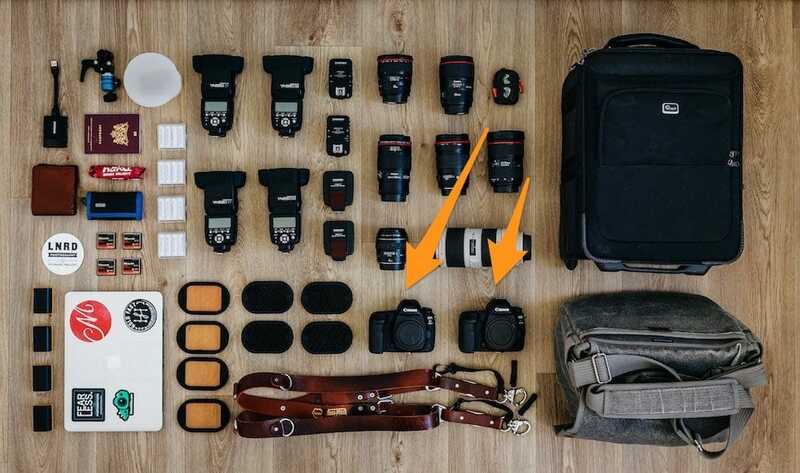 This is one of those features that wedding photographers can rely on all day, and something that makes other mirrorless cameras and DSLRs alike function like dinosaurs in comparison. Mirrorless cameras are pushing technology further and faster than the ageing dSLR, and nowhere is this more apparent than the high-tech Sony A7R III. 4K movie recording allows you to extract still images in post production at a quality high enough for client delivery – see Emin Kuliyev’s work for examples. It’s good to get a rounded opinion of a camera before you buy it, so be sure to check out my raw/un-edited video of what I love and hate about the Sony a7R III for wedding photography. Bear in mind that this was after my first wedding with the camera, and since then, I’ve learned to live with its flaws. 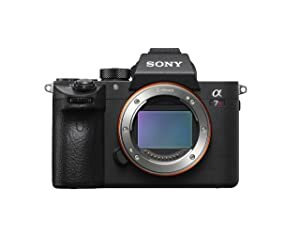 One thing’s for certain, if you want a camera for wedding photography that offers medium-format like resolution in a compact body, look no further than the Sony a7R III. 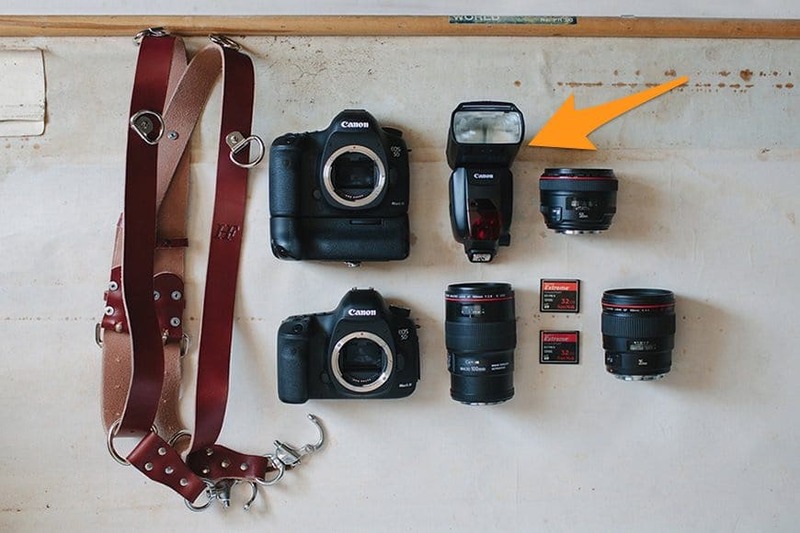 The Canon 5d Mark III is by far the most popular wedding photography camera of the photographers featured here on Shotkit. Despite the newer Canon 5D Mark IV, many wedding photographers have chosen to stick with this workhorse of a camera, and are more than happy to do so. The ageing Canon 5d Mark III will always remain a true all rounder – great image quality, high resolution, responsive operation, 6 frame per second continuous shooting, excellent build quality, high resolution LCD monitor, excellent 100% viewfinder, full manual video mode and dual SD and CF card slots. As an added bonus for fans of multiple exposures, Live View features a handy ‘overlay’ function (to help align 2 or more images) which none of the Nikon camera pro dSLR lineup currently have. 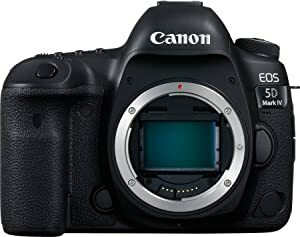 Since it’s been a good few years since its release, the Canon 5d Mark III can be picked up for bargain prices right now (see latest price here), and for those just starting out in wedding photography or those wanting a second body, it’s an sensible investment. Weaknesses include mixed memory card support which cripples the write speed of the SD card, and a somewhat ageing auto-focus system. Whether lightning-fast AF performance is necessary for you as a wedding photographer is up to you to decide, but whatever the case, it’s useful to remember that the AF performance on a pro-grade camera of this level is only perceived as good/bad when compared to another – in other words, it’s good enough for most. Whether the Canon 5d Mark III is the best camera for wedding photography or not, it is by far and away the most popular, representing a great feature set, in a robust, reliable body for Canon shooters. 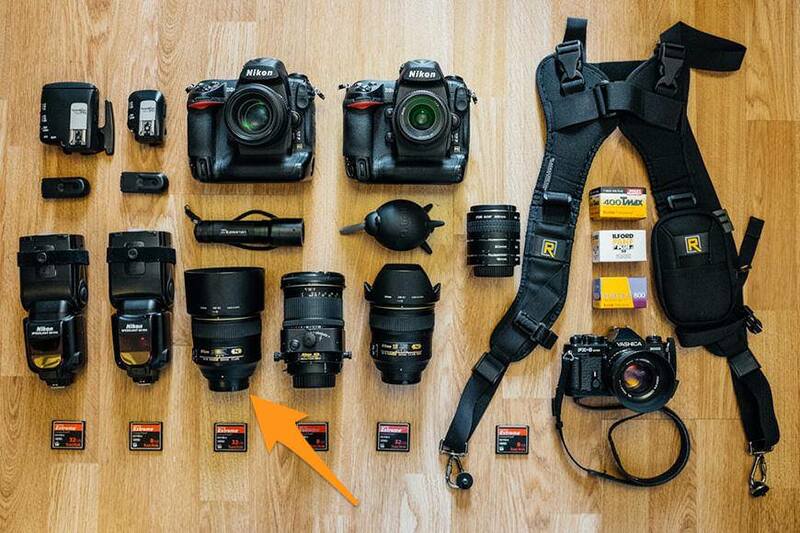 Despite its age, the Nikon D750 is still the most popular Nikon camera used by the wedding photographers on Shotkit. It’s certainly one of the best cameras for wedding photography for both those just starting out, and more established photogs. Nikon wedding photographers had been holding out for a long time for a true replacement to the legendary Nikon D700. This arrived in the form of the 24.3 mega pixel Nikon D750, complete with a tilt-screen LCD and a sensor that knocked dynamic range out of the park. Nikon has traditionally had the edge on Canon when it comes to shadow detail, and with the Nikon D750, this was really rubbed into the faces of Canon shooters. 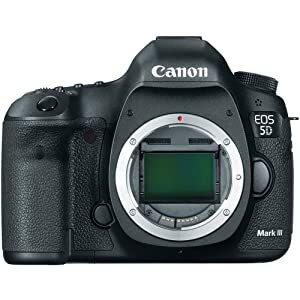 Over 2 years had pascamersed since the release of the most popular camera for wedding photography, the Canon 5D Mark III. With the Nikon D750, Nikon overtook Canon, then Canon released the 5D Mark IV.. and finally here we are in 2019 with the Nikon D850. Things clearly don’t stand still in the world of photography gear, but that doesn’t mean that you need to keep upgrading, or buying the latest equipment to shoot a wedding. For anyone just starting out as a wedding photographer, I’d always recommend the Nikon D750… if they don’t want a mirrorless camera of course. For the money (check the latest price here), you’re getting a lot of camera – I shot happily with two Nikon D750s for several years, and would still be using them if it weren’t for my recent switch to mirrorless. Truth be told – I actually prefer them to the Nikon D850 (until prices drop), mostly due to their smaller size/weight and use of two SD cards as opposed to a mixture of XQD and SD. 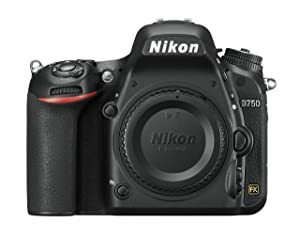 Wedding photographers till using the Nikon D750 love in particular the tilting LCD monitor and incredible battery life – there’s seldom a need to change batteries for an entire wedding. The sensor is also a thing of marvel, with high ISOs looking clean, and more dynamic range than you’ll ever need. Autofocus is great, but clearly not as good as the D850 and the Sony’s on offer this year. 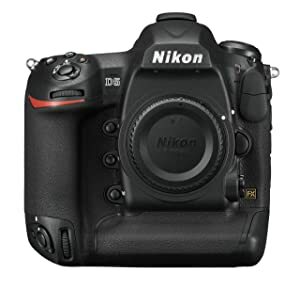 That said, any Nikon shooter entering the world of wedding photography now has an easy choice of the camera to purchase to start their business off on the right foot. Arguably the best Nikon camera for wedding photography for those on a budget, the Nikon D750 is a true classic. It seems that for some successful photographers, no price-tag is too much when investing in the best cameras for wedding photography. Case in point – the Nikon D5. Can you tell an image shot with this $5k+ flagship Nikon DSLR (check latest price here) from that of one shot on an entry-level DSLR? In good light… probably not, but that’s not the reason to get a camera like this. Even though all of the other pro-grade cameras in the Nikon line-up are excellent for wedding photography in many regards, the Nikon D5 just provides that little bit more of everything. Need the ability to shoot clean images in almost complete darkness? Check. The Nikon D5 can has a native ISO of 102,400, which can be extended to a frankly ludicrous 3,280,000! Need to fire off a series of consecutive images in a second? Check. The Nikon D5 can shoot at an incredible 12FPS for 200 shots with AE/AF. Need a camera which is built to last a lifetime? Check. The tank-like build of the Nikon D5 will ensure it looks as good as the day you bought it no matter how hard you treat it. It also offers the best ergonomics of any camera I’ve ever held, despite its bulky size. For working pros, to have an extremely robust camera with such long life expectancy (shutter life-cycle of 400,000 – double most pro camera bodies), combined with incredible ISO performance, first class image quality, every physical control you could ever want, uncompressed 1080p video output and machine gun like frame rate, the asking price for a Nikon D5 is completely justifiable. The addition of a touch screen rear LCD is also a genuinely useful feature, with full touch implementation in both menus and Live View. Shooting with the sluggish Live View of other DSLRs is a frustrating experience, but the Nikon D5 with its super fast start up time and responsive touch functionality changes all this. If you’re a DSLR wedding photographer who needs the very best camera for wedding photography with no compromise, the Nikon single digit series still wears the crown. Interestingly enough, there are very few wedding photography using the single-digit Canon bodies – make of that what you will! 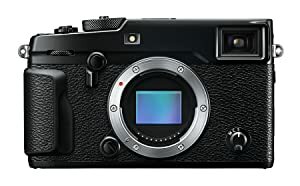 The Fujifilm X series cameras were the first that showed the world that the line between full frame and crop sensor (APS-C) has become very blurred. 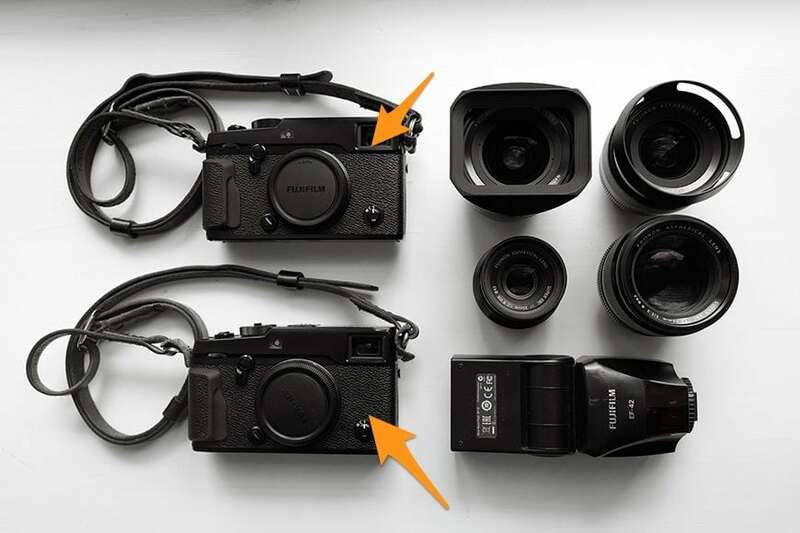 Whilst clean high ISOs and the shallowest depth of field will always be won by the bigger sensor, more and more wedding photographers are enjoying the benefits of using the Fujifilm X series crop sensor format. Top of the pile for wedding photographers shooting Fujifilm? It’s somewhat surprisingly the Fujifilm X-Pro2. Despite the DLSR-like ergonomics and flip-screen of the Fujifilm X-T2 and the IBIS of the newly released Fujifilm X-H1, it’s the retro rangefinder build of the Fujifilm X-Pro2 which has won the heart of the most wedding photographers. Aside from its beautiful stealth-like aesthetics which allow wedding photographers to remain unnoticed whilst doing their job, the design of the Fujifilm X-Pro2 is actually very practical too. Aside from design features, the Fujifilm X-Pro2 features the excellent 24.3MP X-Trans CMOS III sensor that’s made Fujifilm so popular among photographers the world over. The hybrid viewfinder also offers a unique way to view a wedding, in both an optical format, a digital EVF, or a mixture of the two. An 85fps refresh rate ensures that the EVF is as life-like as possible on a Fujifilm camera. AutoFocus is good, but falls way short of the Sony mirrorless line up. Then there’s the high ISO performance, which whilst excellent for APS-C, is still trounced by the full frame mirrorless cameras out there. So the question remains, why opt for the Fujifilm X-Pro2, when you can get a Sony a7III for around the same price? The Sony is superior in almost every aspect, on paper at least, but why do so many wedding photographers stick with the Fuji? Well, aside from the ergonomics and styling, which are undoubtedly better on the Fujifilm, and those gorgeous film-simulation JPEGs, buying into the Fujifilm system also gives you access to a range of amazing Fujifilm lenses. Sure, Sony does have some great e-mount lenses, but gems such as the Fujifilm 56mm f/1.2 which can produce creamy bokeh from such a small package makes Fujifilm still a popular choice for wedding photographers. Then there’s the usability and menu system of the Fujis, which is far superior to that of the Sonys. “What’s the best lens for wedding photography?” is one of the most common questions I get asked. It’s another one of those questions that does the rounds on wedding photography forums, with everyone chiming in with their number one lens. In my mind the best lens for wedding photography is the one that is the most versatile, and for me that’s the 35mm focal length with the fastest possible aperture. If you’re looking for more all-round lenses, I wrote a bit more in depth on what I consider to be the best Nikon lenses, best Canon lenses, best Fuji lenses and best Sony lenses for you to check out too. Now let’s look at the most popular lenses for wedding photography. Two words. Incredible bokeh. For those wedding photographers searching for a lens that will obliterate the background into a creamy, dreamlike blur, Canon’s range of f/1.2L lenses is where it’s at, and the Canon 50mm f/1.2L is by far the most popular of them all. 50mm is a classic, versatile focal length, and even shot wide open at f/1.2, this lens has incredible image quality. There simply isn’t another lens in the world that can replicate the look of the Canon 50mm f/1.2L. At f/1.2L, this lens is less about sharpness and more about that elusive quality that pixel peeping photographers often ignore – an almost ethereal, dreamy, 3 dimensional feel to a photo that can’t be replicated. Just make sure you nail focus, as wide open, this lens is unforgiving. Stopped down, the Canon 50mm f/1.2L delivers amazingly sharp, vibrant and contrasty files. However, if it’s the sharpest images you’re looking for, you’d probably be better off saving some money and opting for the Canon 50mm f/1.8 instead! Luke Chisholm, Gene Pease, OAPD… and others. Despite the release of the Canon 35mm f/1.4L II in 2015, many wedding photographers have kept hold of the original version of this popular lens for several reasons. Most notably, the first version is lighter, smaller, less plasticky, and much less expensive than the new release. You can compare the huge price difference here. Canon wedding photographers are spoilt for choice when it comes to lenses, with f/1.4’s being ignored for the f/1.2’s in the lineup. However, this ageing Canon 35mm f/1.4L is still one of the sharpest 35mm lenses available today, with very little distortion and beautiful bokeh. The Canon 35mm f/1.4L is also one of the few f/1.4 pro lenses that’s available for under a grand. Grab one before the price starts to rise again! If you just have to have the latest and the greates and aren’t botherd about the increase in price/weight, the Canon 35mm f/1.4L II does have slightly better sharpness in the corners, slightly less distortion, and slightly faster focusing than the original. I’d recommend saving your money and getting the first version though. 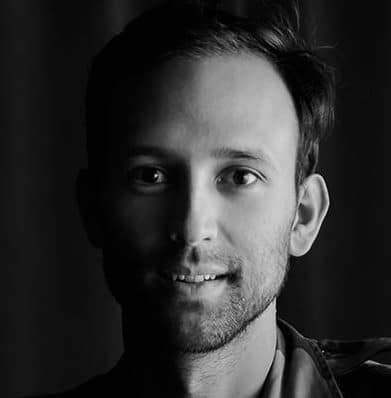 Love is a Big Deal, David Pullum, Emin Kuliyev… and others. On Nikon’s side of the fence, the Nikon 35mm f/1,4G remains the most popular lens in their professional prime lens line up. 35mm is such a versatile focal length – not too wide, not too narrow, and is suited for portraits, landscapes and everything in between. 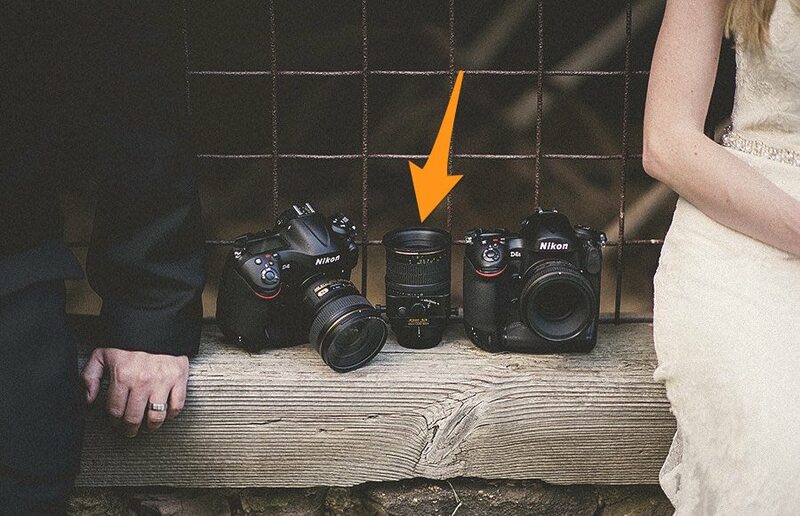 Many wedding photographers could easily shoot an entire wedding with just this lens. The Nikon 35mm f/1.4G is Nikon’s sharpest 35mm lens ever, and shot at f/1.4 the bokeh is unrivalled. I’d also argue that this is the best lens for wedding photography, in that it is versatile whilst offering excellent image quality. Unfortunately, the Nikon 35mm f/1.4G is also the most expensive Nikon 35mm in production, and much more than the Canon equivalent. This doesn’t seem to bother most fans of this incredible lens though, especially when you consider many wedding photographers admit to using this lens for over 95% of the wedding. Need a cheaper alternative that delivers sharper results and weighs about 3x less? Check out this review of the Nikon 35mm f/1.8 ED – one of my favourite lenses. With mounts available for Nikon, Canon EOS, Sony, Minolta Maxxum and Pentax, it isn’t any wonder that this ground-breaking lens from Sigma is one of the most popular lenses for wedding photography on Shotkit. It is also one of the first third party lens to be taken seriously by professional wedding photographers. The Sigma 35mm f/1.4 ART has slightly less distortion than the Canon and Nikon 35mm lenses, and even focuses a bit more accurately at f/1.4 than them too. As for sharpness, it’s on par with the Canon and Nikon variants. Price savings have to be made somewhere though, and in the case of this Sigma 35mm f/1.4 ART lens, its the overall build which is less robust than the Canon and Nikon offerings that offer complete weather-sealing. At this price though, many Nikon shooters actually sold their Nikon 35mm f/1,4G‘s to replace them with the Sigma 35mm f/1.4 ART… and pocketed the difference without a second though! One thing’s for certain – the outstanding image quality combined with affordability of the Sigma 35mm f/1.4 ART is causing wedding photographers around the world to rethink their brand loyalty. If you’re intrigued with the versatile 35mm focal length for wedding photography, the Sigma 35mm f/1.4 ART lens would be a wise purchasing decision. Fernando Garcia, Van Middleton… and others. 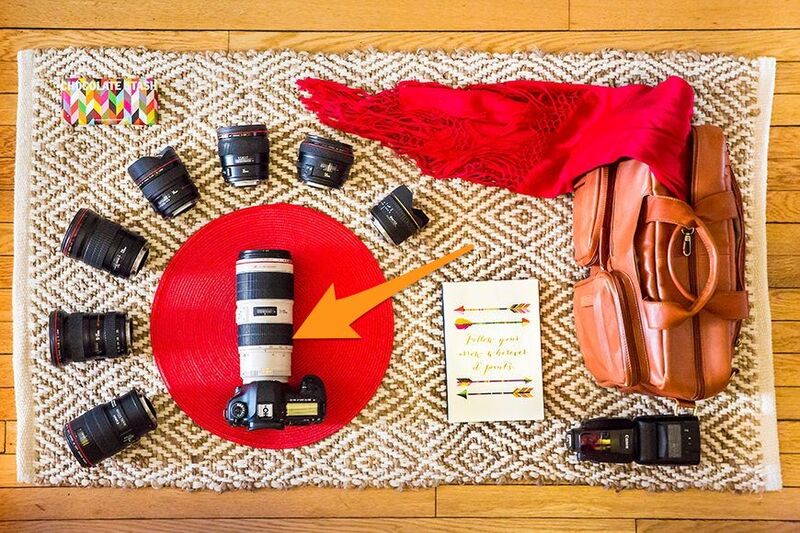 Surprise surprise, another Canon f/1.2L lens in the list of most popular wedding photographer lenses! Since there’s no direct competition on the market for lenses of this speed, Canon’s prime lenses are in a league of their own. The Canon 85mm f/1.2L is 1/3 of a stop faster than its Nikon equivalent (the excellent Nikon 85mm f/1.4G), and has an enormous cult following. Despite the high cost, heavy weight and painfully slow focusing, wedding photographers the world over have fallen in love with the Canon 85mm f/1.2L‘s unique rendition of out of focus areas, tank-like build, tack sharpness and excellent contrast. The ability to reduce any background to a gorgeous, creamy haze allows wedding photographers to worry less about uninteresting backgrounds and concentrate instead on the subject and the light. That’s why many refer to the Canon 85mm f/1.2L as ‘magical’, for its ability to turn bland into WOW! 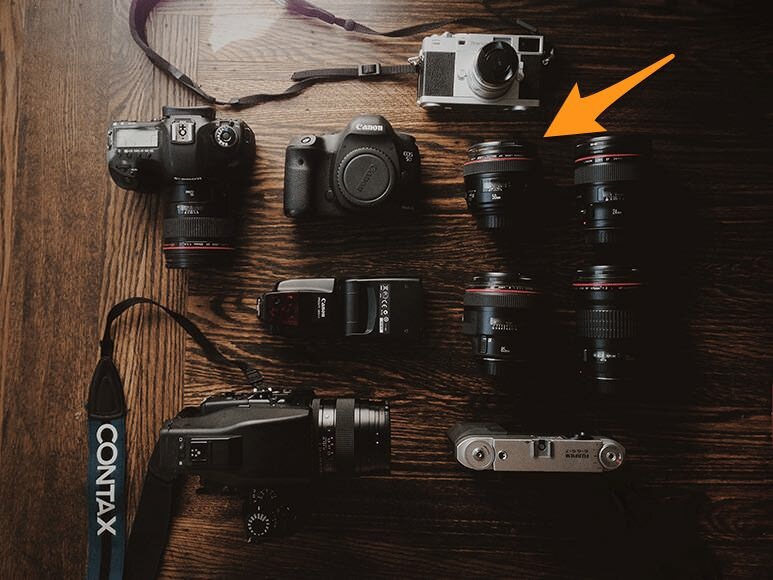 The Canon 85mm f/1.2L shot at f/1.2 is also the most popular lens for wedding photographers who want to create Ryan Brenizer‘s bokeh panorama technique. Brett Butterstein, Jonetsu, Jeff Newsom… and others. Tilt Shift lenses have witnessed a surge in popularity in the wedding photography industry in recent years. 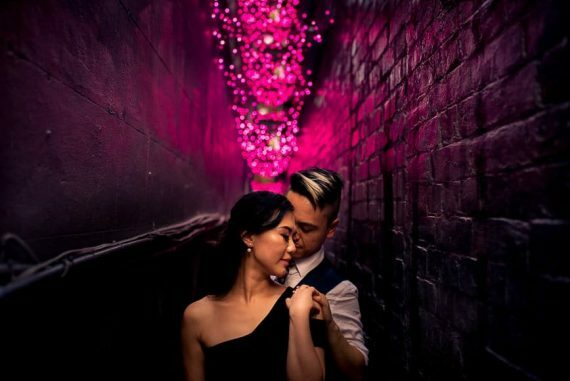 The ability to throw selective areas out of focus to draw attention and create a dreamlike effect has somewhat answered the wedding photographer’s need to differentiate their work from their peers. For those who use the Canon 45mm f/2.8 TS-E expertly and for full creative effect, the resulting images can be incredible, and impossible to replicate with any fancy Photoshop plugin. That said, tilt-shift lenses are difficult to use, and even more difficult to master, which is why there seems to be a lot of sub-standard tilt-shift wedding photography work out there. I’d also argue that the tilt-shift look is more appealing to other photographers than to brides… unless they are photographers themselves! Having said this, if you’re ready to experiment with tilt-shift portraiture, the Canon 45mm f/2.8 TS-E is the perfect lens to start out. The 45mm focal length is surprisingly versatile, ideal for both portraits and for shifting the perspective in architecture photography (its original use). It’s also a great value tilt-shift lens, at almost $800 cheaper than the Nikon equivalent! Considering the complicated mechanics necessary to get a lens with such delicate moving elements to remain razor sharp, and the impressively robust build quality, the Canon 45mm f/2.8 TS-E is a great buy in the world of tilting and shifting focus. The incredible Nikon 24mm f/1.4G has stellar performance at all apertures, and wide open at f/1.4, delivers a sharpness that is unrivalled by any other current Nikon f/1.4 lens. It is arguably the best wide angle lens in the world. For fans of the Nikon 24mm f/1.4G, this lens is arguably the best lens for wedding photography, capturing the vastness of landscapes in environmental portraiture. As a wide-angle lens used up close to the subject (like on the dance floor during a wedding reception), the Nikon 24mm f/1.4G also has the unique ability to pull the viewer into the scene, whilst throwing the background out of focus. Being wide angle, it is forgiving when hand held at slow shutter speeds, meaning you can shoot the Nikon 24mm f/1.4G at one-stop slower for similar sharpness as you’d get from the Nikon 50mm f/1.4, for example. The Nikon 24mm f/1.4G is bright, sharp and contrasty at every aperture edge to edge, with minimum distortion and coma. For wedding photographers who like to get up close to the action, or who want to achieve a wide angle and subject separation even in low light, the 24mm f/1.4G is the perfect Nikon wide angle lens. Douglas Polle, Bruno Rosa, Todd McGaw… and others. While Canon’s lenses have the ability to oliterate the background with the razor fine depth of field of their f/1.2 lens offerings, Nikon have lenses that are able to emulate a look that is close to 3D. The Nikon 85mm f/1,4G is one of these incredible lenses. Well, Ken’s not a wedding photographer but I dare say he does know a thing or two about lenses! Images shot at f/1.4 with the Nikon 85mm f/1.4G make the subject pop out of the screen whilst the background melts away into creamy smooth bokeh. If you’re a fan of placing elements in the foreground to create layers, you’ll find yourself having to stop down since foreground elements are all but obliterated at f/1.4 at this focal length! 85mm is a flattering focal length for wedding portraits, and the large aperture of the Nikon 85mm f/1,4G makes it ideal for shooting the ceremony and reception speeches from the sidelines. A must have for Nikon wedding photographers, and commonly used on a second body combined with the Nikon 35mm f/1.4G. Stefan Hellberg, Doug Levy, Roberto Panciatici… and others. For many Canon prime lens shooters, the Canon 135mm f/2L has gained an almost legendary status. Whilst not being the most versatile of focal lengths for wedding photographers, for those times where you can back up for a portrait, or need to stand back and out of the way in the church for example, the Canon 135mm f/2L is is an unrivalled lens. Nikon simply doesn’t offer lenses like this (the Nikon 135mm f/2 DC is an outstanding lens, but doesn’t come close to Canon’s 135), which is why so many wedding photographers opt for Canon. The Canon 135mm f/2L has a reputation for its insane sharpness, possibly the sharpest L lens in the Canon lineup. The build quality is top notch, the focus speed is fast, the bokeh is creamy and gorgeous, and surprisingly for an L series lens, the Canon 135mm f/2L is small, light and actually quite affordable too. If you need a long lens for wedding photography and don’t want to weigh yourself down with a heavy zoom lens, the Canon 135mm f/2L represents a wide purchasing decision – excellent image quality in a compact unit, at a reasonable price. No wonder the Canon 135mm f/2L is up there so frequently as best lens for wedding photography. Joseph K. Sarkodie, Veli Yanto, York Place Studios… and others. Whether using the first (2002) or the second (2012) version, all wedding photographers agree – the Canon 24-70mm f/2.8L is a workhorse of a lens that never fails to deliver. Built like a tank with fast ultra-sonic motor powered autofocus, the optics in the Canon 24-70mm f/2.8L are almost flawless. If you’re looking for a wide angle lens for Canon which can also be used at 70mm as a flattering portrait lens, the 24-70mm focal range is perfect. The Canon 24-70mm f/2.8L produces tack sharp images with very little distortion, and the bokeh at f/2.8 especially when shot at 70mm is beautifully rendered. The Canon 24-70mm f/2.8L does struggle a little with softer focus when used for close-up photography, but aside from this, the price and the sheer weight of the lens, there really isn’t much else to complain about. The Canon 24-70mm f/2.8L remains a popular choice for both prime lens and zoom lens wedding photographers, allowing them to take advantage of a very useful range of focal lengths in a single lens. 24mm is ideal for a wide-angled interior shot of the church, then one twist of the lens and 70mm can deliver a flattering portrait of the bride walking up the aisle. Recently on Shotkit, many (predominantly prime lens shooting) wedding photographers have described using the Canon 24-70mm f/2.8L on the dance floor, allowing super fast autofocus at a range of useful focal lengths, ideal for catching fast and crazy dance moves! Geoff Duncan, Ian Weldon, Sun and Life... and others. With all the delicious bokeh and super fast speeds available to prime lens shooters, it’s easy for wedding photographers to forget about the incredible zooms available to them. 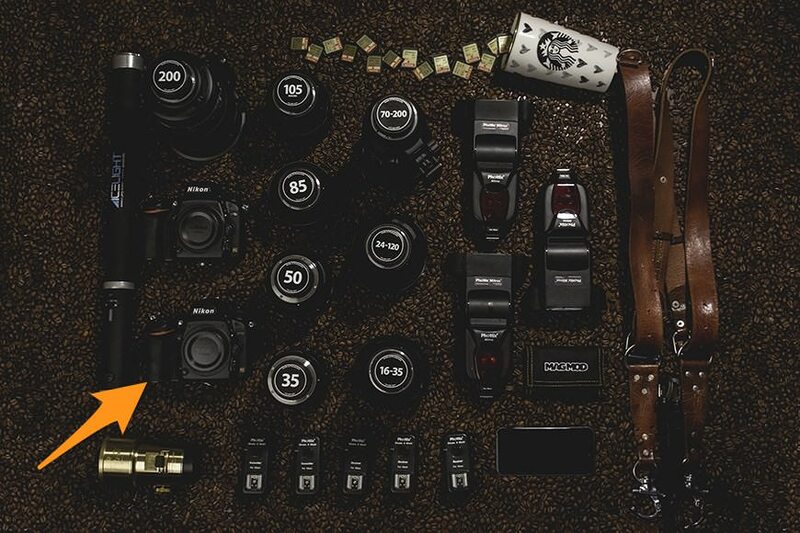 The Nikon 24-70mm f/2.8 is one of the most popular zoom lenses used by wedding photographers on Shotkit. Razor sharp all the way from wide angle all the way up to medium tele-photo, the focus speed on the Nikon 24-70mm f/2.8 is nothing short of incredible for a lens of this size. If you’re a Nikon zoom shooting wedding photographer, chances are you’ll have the Nikon 24-70mm f/2.8 firmly attached to one body, able to shoot an entire wedding with this one lens with ease. Aside from the distortion at 24mm and the size/weight of the Nikon 24-70mm f/2.8, there really isn’t anything to complain about. Even for the prime lens wedding photographers out there, this Nikon zoom is a popular addition to the camera bag, offering a near-perfect variety of focal lengths for weddings in one robust package. Pro level zoom lenses such as the Nikon 24-70mm f/2.8 also hold their value well, meaning purchasing then later selling this lens is often more popular (and cost-effective) than renting. Sage Justice, Tomer Sabag, Fiona Kelly… and others. Look at the photographers at any major sporting event and you’ll see this legendary black and white lens on every camera. The reason is simple – the Canon 70-200mm f/2.8 IS II is the fastest focusing, sharpest zoom lens available today. Wedding photographers love this lens too, for its ability to allow you to hang right back away from the action whilst still capturing tack sharp, contrasty and beautifully rendered images even in low light. Canon’s Image Stabilisation allows you to benefit from the equivalent of an extra 4 stops of light. In practice this means that you can hand hold the Canon 70-200mm f/2.8 IS II at slower shutter speeds than normally possible – perfect for use at dimly lit wedding venues. As a portrait lens, the Canon 70-200mm f/2.8 IS II gives flattering results all the way through its focal range. If you have the space, shooting a bride’s portraits at 200mm will make her look the best she can. Although the previous iteration of the Canon 70-200mm f/2.8 IS still turns up in the bags of many wedding photographers, the second version allows for slightly closer focusing which was reason enough to upgrade for many. If you’re a wedding photographer who frequently shoots in spacious churches that don’t allow close proximity to the couple, you’ll need a long zoom lens like the Canon 70-200mm f/2.8 IS in your camera bag. Alessandro Della Savia, David Oisthoorn, Tyler Wirken… and others. Popular with both the Nikon zoom lens shooting wedding photographers and the prime lens shooters, the Nikon 70-200mm f/2.8 VR II is the best pro grade Nikon mid-range zoom money can buy. Lenses don’t come much tougher than pro-line zooms and the Nikon 70-200mm f/2.8 is no exception. This is one lens that will last your entire wedding photography career and not skip a beat. Then you can sell it on and lose less than 20% of the original outlay on the second hand market. The VR combined with an aperture of f/2.8 is ideal for shooting from the back of dimply-lit churches and during wedding speeches. The Nikon 70-200mm f/2.8 VR II is on one body of every Nikon sports shooter, and also appears in many wedding photographers’ camera bags on Shotkit. Used at 200mm it makes an incredibly flattering portrait lens for the bridal shots, and if you have room, 70mm makes a distortion-free family group shot too. It’s when you want to keep your distance from the wedding action that this Nikon 70-200mm f/2.8 VR II really sings. Feeling lazy near the end of a wedding? Just hang back and take a few long range snaps from the comfort of your set until you have the energy to return to the heat of the action! Just remember that a photo taken from range with a zoom has a completely different look to one taken close up. Your viewer is either ‘in the picture’, or he isn’t. Shaun Baker, Megan Allen, Imagine Photography… and others. Nikon wedding photographers who are fans of the dreamy tilt-shift look have chosen the Nikon 45mm f/2.8 PC-E as their weapon of choice. 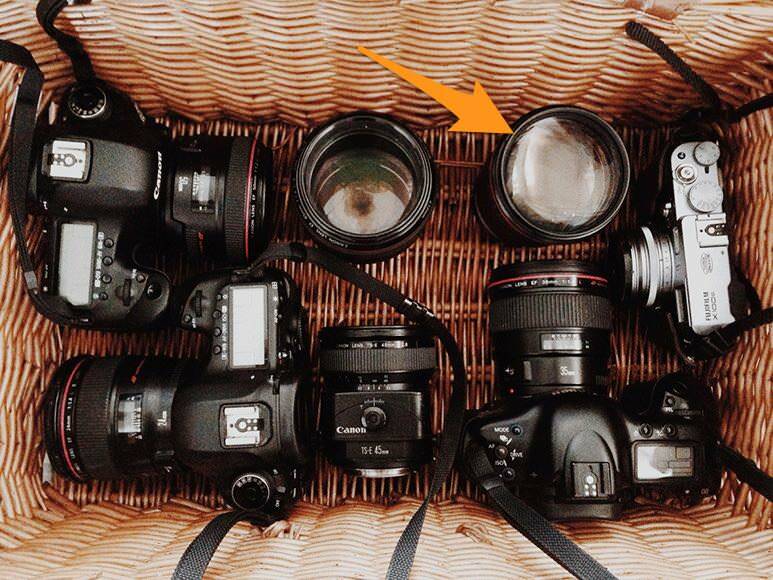 If you’re unsure of what exactly the purpose of a tilt-shift lens is, read this. Equally at home as a razor sharp portrait lens (albeit a manual focus one), the Nikon 45mm tilt-shift is built like a tank, with a hefty weight and solid feeling controls. The out of focus areas blend seamlessly into the focus areas when the Nikon 45mm f/2.8 PC-E is tilted or shifted, allowing wedding photographers to achieve looks that are impossible to recreate with other lenses. Just don’t overdo this look, and remember, practice, practice, practice before using this lens at a real wedding! Tilt-shifts are tough to get the hang of, but if you can master them, they can separate your work from all the other wedding photographers out there. Unfortunately Canon wins in the pricing of their tilt-shift lens offerings, but if you’re a Nikon shooter who wants to experiment with focus shifting, the Nikon 45mm f/2.8 PC-E remains a great choice. Kanayo Adibe, Jennifer Moher, Bruno Rosa… and others. The Nikon 58mm f/1.4G is another lens that has slowly but steadily gained popularity on Shotkit since its release over a year ago. Make no mistake – the Nikon 58mm f/1.4G is an overpriced lens. Its plasticky feel, unremarkable sharpness and understated build quality has prevented many wedding photographers from taking the plunge and investing in what many have written off as an anomaly in the Nikon lineup. However, several top wedding photographers swear by the Nikon 58mm f/1.4G and its incredible ability to render a 3D-esque image, with dreamlike bokeh that surpasses even Canon’s f/1.2 offerings. 58mm may be an unusual focal distance for many, but the decision makes sense when one considers the popularity of the lesser-known Nikon 58mm f/1.2 which was released in 1977. Incidentally, this manual focus lens costs over $3,000… if you’re able to find it. It seems that with the Nikon 58mm f/1.4G, if you need your final image to be different from your competitors, its lenses with character like this one that will help take you one step closer to achieving the sublime. For those who use the Nikon 58mm f/1.4G professionally everyday, no price tag is too high for this mysterious lens. If you’d like to learn more about its allure for wedding photography, read this wedding photographer’s review of the Nikon 58mm f/1.4G. Sam Hurd, Gabe McClintock, Dallas Kolotylo… and others. 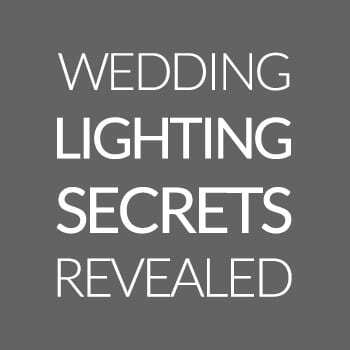 Wedding photography lighting gear is a diverse topic, and isn’t easily summarized here in a few paragraphs. Usually you’ll find wedding photographers gravitating to high quality units which match their camera’s brand for primary flashes. Occasionally, if numerous flashes are required for backups or off-camera use, wedding photographers can save a bit of money by opting for third party brands, which may or may not support TTL. As for LEDs and other continuous wedding photography lighting solutions, the sky is the limit, with devices ranging from small on-camera video lights to larger light panels and sticks. A special mention should also be made for modifiers, since most wedding photographers will rarely use an un-modified flash on top of their cameras. With the Canon 600EX-RT, Canon beat its competitors once again, by producing the first camera-maker flash with a built in radio trigger system. No longer do wedding photographers who wish to take advantage of off camera flash, need to use a 3rd party wireless trigger – it’s all in the one unit. The only catch of course is that you’ll need two (or more) Canon 600EX-RT ‘s if you want to use the radio trigger to fire the other flash off remotely. However, seeing as an wedding photographer worth his salt will usually have more than one flash even its just as a backup, the awesome Canon 600EX-RT ‘s are a no-brainer. As with most flash units at this price, the Canon 600EX-RT recycles quickly and quietly, allowing continuous flash use both on and off-camera. Samuel Luna, Van Middleton, Luke Chisholm… and others. Nikon flash users could argue that whilst Canon may have been the first to the post at creating a flash with a built in radio trigger system, the Nikon flashes always had the Nikon Creative Lighting System – namely, the ability amongst other things to trigger remote flashes using the camera’s built in flash. The upside, only one flash is necessary; the downside, it’s infra-red, not radio, which means line-of-sight only. Be that as it may, the Nikon SB-910 is still the biggest, fastest, brightest and most feature-rich flash that Nikon produces. The super-fast recycle time of 2 seconds even at full power on the Nikon SB-910 is especially useful for wedding photographers wishing to over-power the sun for some dramatic outdoor portraiture. Some wedding photographers who favour reducing the ambient in the dramatic daytime + flash look, use 2 Nikon Sb-910 units in unison, each set at 1/2 power, allowing the equivalent light intensity of full power, but with a faster recycle time. The Nikon SB-910 also features a huge zoom range from 17mm to 200mm, making it especially versatile for the zoom lens shooter who needs a narrower beam of light. Rares Ion, Mariano Sfiligoy, Fiona Kelly… and others. Godox has climbed slowly but steadily up the ranks in the third party lighting industry, offering affordable, lightweight and surprisingly high quality devices to wedding photographers. Despite offering numerous flash accessories compatible with all models of camera, it is with the Godox TT350 series aimed at Sony shooters (with the TT350S) and Fujifilm shooters (the TT350F) that they’ve really hit a home run. Perfectly sized for smaller mirrorless camera bodies, the TT350 flashes are so minute in comparison to their counterparts that they’re a pleasure to use, both on and off-camera. Working off only 2 AA batteries, power is limited and recycle time is on the slow side, but they’re absolutely fine to capture some wedding dance floor moves. Since the Godox TT350 is a transceiver, all you need is an X1T transmitter to be able to control them wirelessly, meaning a fast and simple off-camera set up which is a lot of fun to use. The best bit? These flashes clock in at under $100 (see latest price here), meaning you can get a set of two plus a transmitter for less than the cost of one mid-range Canon/Nikon flash unit! 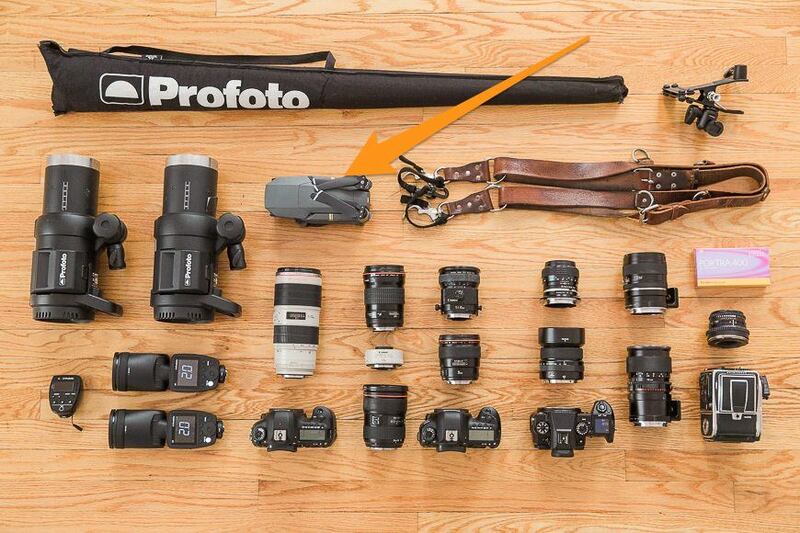 The world of flash triggers doesn’t need to start and end with Pocket Wizard. For those on a budget, or perhaps those who don’t use off-camera flash enough to justify spending too much, the Yongnuo YN-622 remotes/triggers are a great piece of kit. Simple to use, well built and effective even over long range, the Yongnuo YN-622 flash remotes/triggers are in the camera bags of many top wedding photographers. The transceiver features a well-lit LED panel, allowing the photographer to control several flashes at once, adjusting between TTL and manual settings from a distance. The Yongnuo YN-622 transceiver also features a a red laser focusing system, similar to those found on flash units. This can come in handy as a focus assist beam in low light even when a flash is not in use, and is indeed a popular option for wedding photographers needing to focus quickly in dimly lit venues which don’t allow flash. Unai Perez, Stark Photography… and others. The popularity of the Lowell GL-1 Power LED took some time to develop. Upon its release, naysayers complained of an overpriced flash light that resembled a power drill! This may still be the case, but the fact is, the Lowell GL-1 has become a popular and indispensable part of many top wedding photographers’ gear. Despite poor battery life and a rather cumbersome, heavy design, the Lowell GL-1 is simple and fast to use, and has a beautiful quality of light that can be directed with unrivalled accuracy. The what-you-see-is-what-you-get nature of constant lighting is slowly but surely winning fans amongst the wedding photography industry, allowing photographers to get the shot far quicker than with flash. The Lowell GL-1 is used as a simple portrait light during bridal photos, to bring the subject forward, by allowing the photographer to underexpose the ambient light. It is also used during wedding receptions, with the GL-1 attached to a light stand or tripod, shining warm light on speech makers. The Lowell GL-1 is also a popular way to light the first dance due to its point-and-shoot functionality. My advice is to invest a little extra in the lens shade (to prevent light spill), spare battery and carrying case, since it’s not likely that the Lowell GL-1 will fit in your wedding photography camera bag very easily. If you intend to use the Lowell GL-1 while travelling, I’d also recommend the rapid charger. 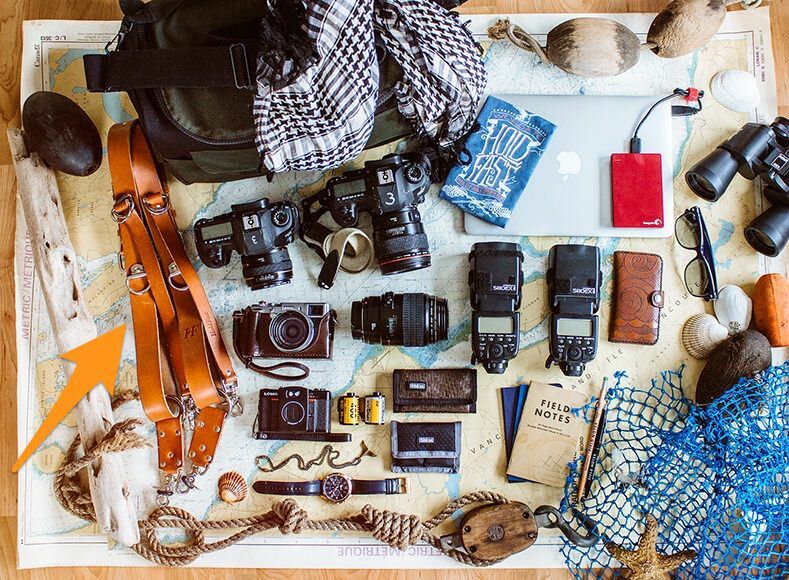 And if you’re struggling to fit it all in your carry on luggage, check out these travel tips for photographers for some sneaky shortcuts! Theilen Photography, Leah Haydock… and others. 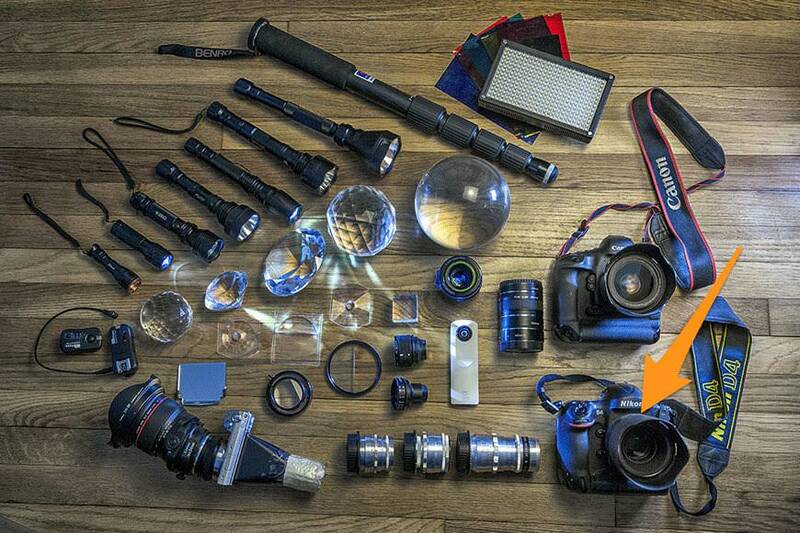 Not everything to do with wedding photography camera gear has to be expensive! With cut-price Asian brands such as Yongnuo producing reasonable quality products for a fraction of the cost of the big name brands, many wedding photographers find the temptation hard to resist. Used often by wedding photographers to light rings, bouquets and other small details, others prefer to use video lights for after-dark light painting. The Yongnuo YN-160 is an affordable introduction to the world of portable video lighting for photography. Featuring the ability to fix the light on top of your camera (not recommended), onto your light stand (better), or simply hand held (best), this lightweight and simple constant LED light will be your first choice when you need to light something quickly. One thing to bear in mind is that these small, battery powered constant light sources give out a lot less light intensity than flashes. However, as long as you’re not trying to over power daylight, you should find them a very useful and affordable addition to your camera bag. This Yongnuo YN-160 allows you to control the intensity of the light but not much more. I’d recommend the newer Yongnuo YN-300 which allows you to control colour temperature too. Whilst by no means an essential piece of wedding photography gear, the Westcott Ice Light does have its fair share of loyal fans. Providing soft, wrap-around light similar to window-light, the Westcott Ice Light is a popular way to give the bride some flattering illumination during bridal portraits. It can also be used to light details such as rings, although unless you invest in the barn doors, you should expect a fair bit of light spill. If you like the idea of carrying a light saber of instant window-light in your camera bag, I’d recommend opting for the latest incarnation, the Westcott Ice Light 2, which increases output by 50% and adds other features such as bluetooth and removeable battery. The beauty of the design of the Westcott Ice Light is that an assistant is not always necessary – it’s easy to grip and move the wand of light with one hand, whilst shooting with the other. It’s not ideal by any means, but definitely an option for those who prefer to work alone. Adam Johnson, Rahul Khona, Megan Allen… and more. MagMod pretty much dominate the lighting modifier market for wedding photographers, with their quick and simple magnetic mounts being perfect for the kind of run-and-gun style photography adopted by many of us. Popular options include the MagGrid to control and direct a beam of light onto a subject; the MagSphere to soften and enlarge the flash’s light; the MagBounce to project a wider beam of light; and more recently, the MagBeam (reviewed here) to multiply the flash’s power output over a distance. With multiple stacking options and coloured gels also in the mix, wedding photographers are finding it easier than ever to elevate their flash work from their peers. Andras Rabloczky, Carsten Schertzer, Sergio Cueto and more. 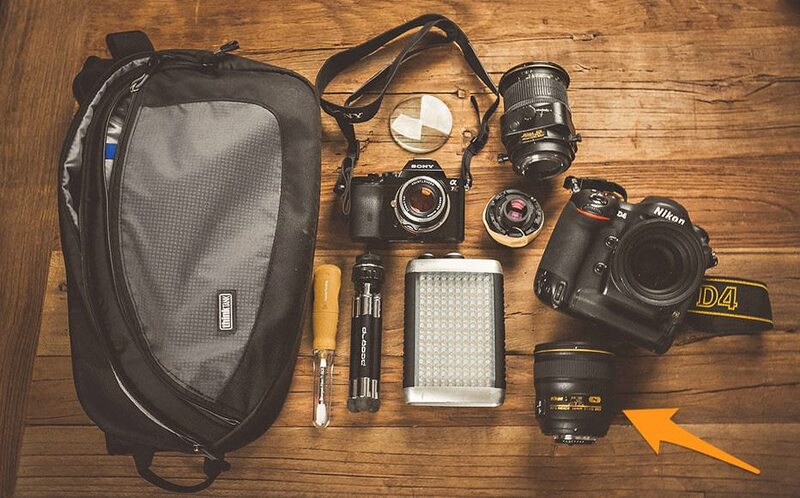 Searching for the perfect wedding photography camera bag is an endless quest, with most photographers owning several to suit their needs. 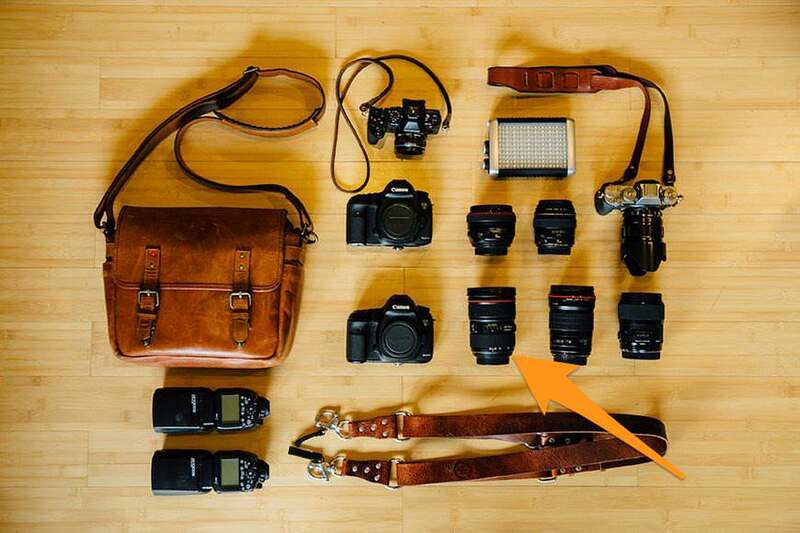 For those who travel with a medium-large amount of camera gear, a rolling camera bag seems to be the norm, whilst for those who have smaller mirrorless set ups, a camera messenger bag or photography backpack is usually more appropriate. Some wedding photographers even like to bring a selection of bags, with the majority of gear being left at the venue in something large like a rolling case, and a camera sling bag being used to take a small selection of lenses out into the field for the portraits. 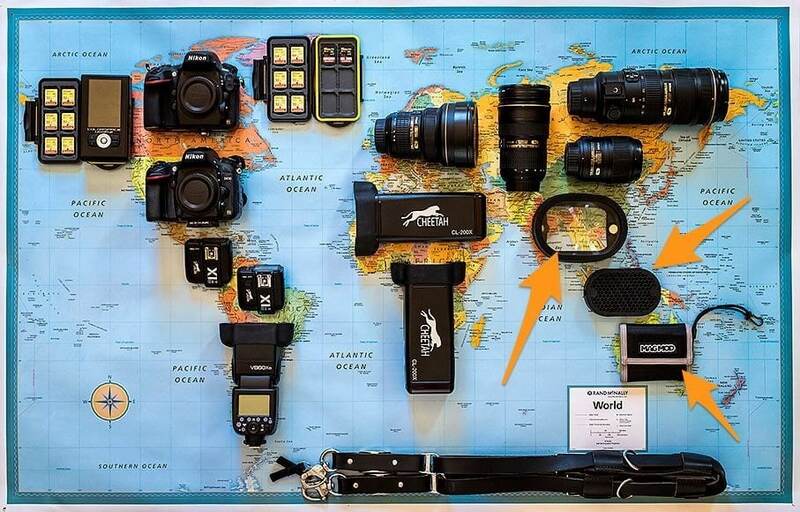 Check out many more of the best camera bags and the best camera straps. Whilst almost all of the Think Tank range of rolling camera bags have legions of wedding photographer fans, the Think Tank Airport Takeoff stands out as being one of the most popular bags for wedding photography. This versatile and hard-wearing rolling dslr camera bag allows wedding photographers to carry all their gear in a carry-on sized case. Whether the weight allowance of your airline will allow it in the overhead compartments is another story, but size-wise, the dimensions of the Think Tank Aiport Takeoff allow it to be used as carry on for all the main airlines. 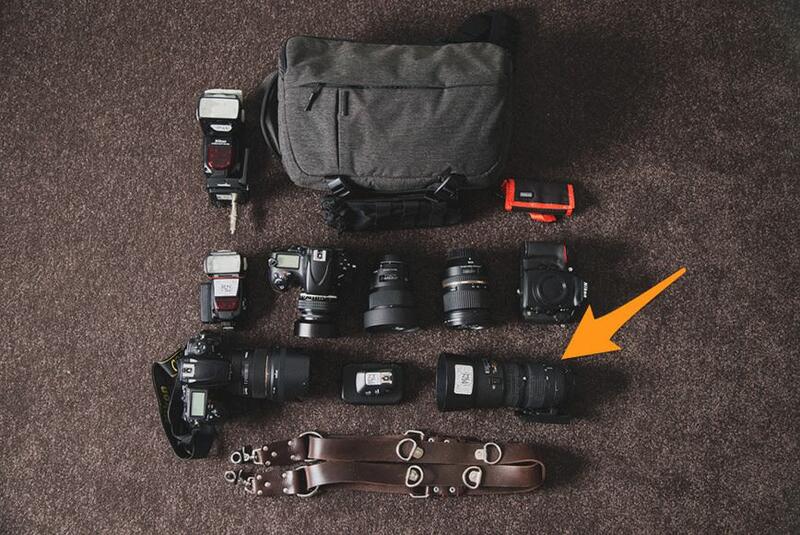 When not in use, the photography backpack straps tuck away neatly in the rear of the Airport Takeoff. Great idea, perfectly executed. 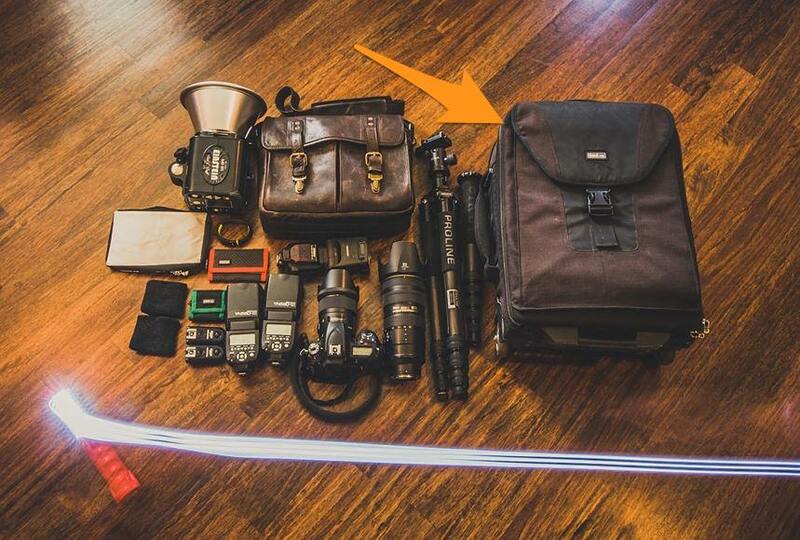 No wonder the Think Tank Airport Takeoff is often considered the best camera bag for wedding photography. Robb McCormick, Ashlee Hamon and others. 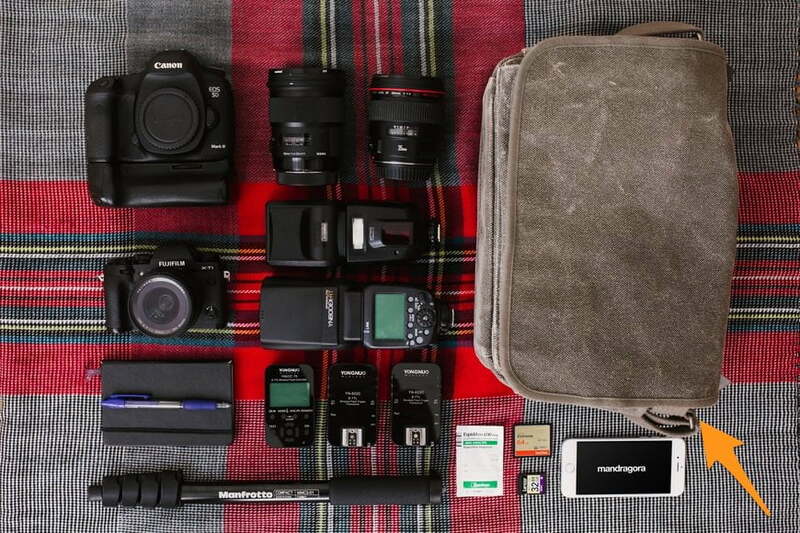 I’m probably a little biased since this was the first camera bag I ever owned (my review of the Think Tank Restrospective 30), but I truly believe it’s the best in its class, and the best camera messenger bag for a wedding photographer. 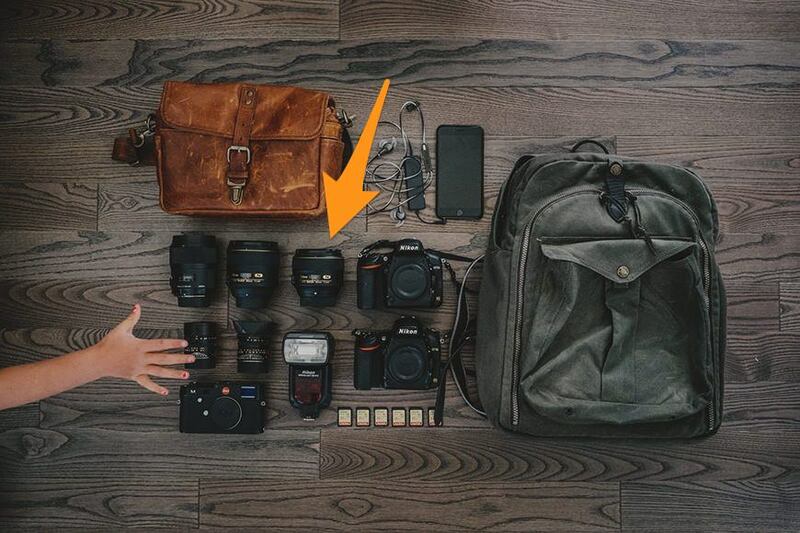 You can carry 2 pro dslr bodies with their lenses attached, and a few other small lenses, plus a couple of flashes and more in this spacious shoulder bag. The build quality is excellent as you’d expect from a Think Tank product, and everything on the Think Tank Retrospective series of messenger bags is functional and very well thought out. My favourite features on the Think Tank Retrospective 30 are the big, strong and comfortable shoulder strap and the ‘stealth’ styling, with virtually no branding whatsoever. The velcro silencers also come in handy during church services, allowing you to open and close the bag with minimal noise. The Think Tank Retrospective series is a firm favourite both with men and women wedding photographers (more womens camera bags here), with the ’30’ the most popular of all. Stark Photography, Leonard Walpot… and more. The Holdfast Money Maker is a great looking, durable and well balanced dual-camera carrying strap that just gets better and better looking with age. 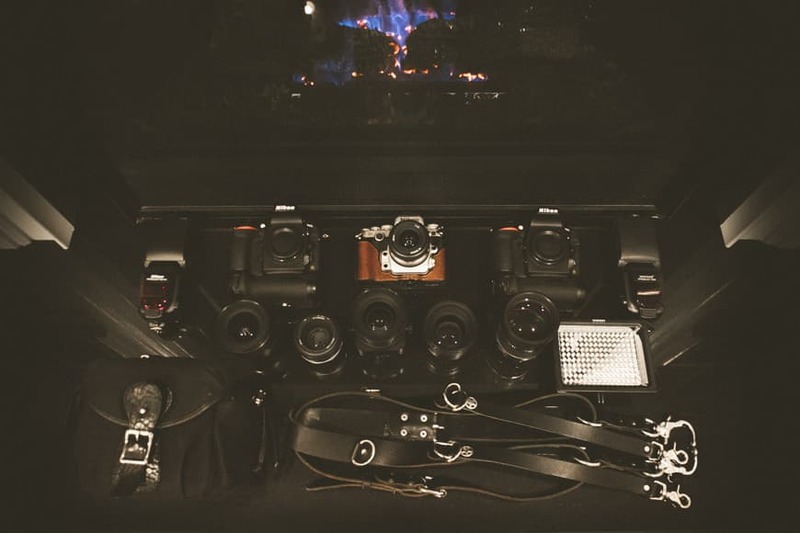 It’s by far the most popular way for wedding photographers to carry 2 cameras at the same time, and definitely one of the best camera straps for wedding photography. Made with high quality materials and built to last in the USA, the Holdfast Money Maker can be seen on the shoulders of many of the world’s best wedding photographer, and for good reason – not only does it look great, but it’s highly functional as well. Check out my review of the Holdfast Money Maker, where I go into more detail about why this strap has been one of the best gear purchases I’ve ever made for wedding photography. For wedding photographers who want to look good carrying two bodies at the same time and don’t want to end the day with too many aches and pains, look not further than the Holdfast Money Maker. You’re guaranteed to get at least one compliment at every wedding you use this thing! Diana Ascarrunz, Jimmy Bui, John Bamber… and others. Thanks to the reduction in sizes and prices of consumer drones, getting an aerial shot at a wedding is a popular way to provide something original to clients. Safety and local laws aside, the barrier to entry is at an all time low for drone usage, but this doesn’t mean that every photographer should be rushing to get airborne. Flying a drone and taking a photo using a drone are two surprisingly difficult skills to learn, and combining the two at a wedding can lead to a significant amount of additional stress on an already frantic day. Having said this, for those who put in the time to learn how to pilot a drone effectively and are skillful enough to create compelling aerial compositions that include their wedding couples, bird’s eye view wedding photography can be a quick way to stand out from the crowd. 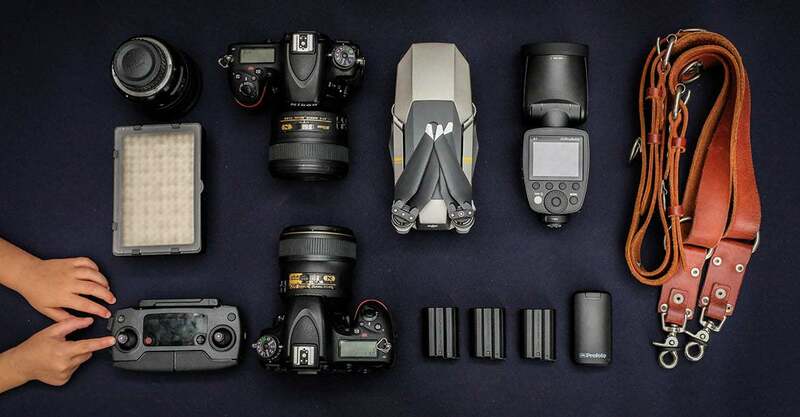 Despite the temptation of a cheap drone for wedding photography in the form of the DJI Spark, and the cute-appeal of the pocketable DJI Mavic Air, it’s the DJI Mavic Pro that reigns supreme with wedding photographers. The DJI Mavic Pro is superior most notably in 3 important areas: longer flight time, better maneuverability and stronger transmission. This results in more time to get your composition when airborne, more power to get the drone to where you need it in stronger winds, and less chance of frozen transmission due to interference or loss of signal. In short, the DJI Mavic Pro is the professionals choice. Having used all three, I’d recommend spending the extras dollars on the DJI Mavic Pro Platinum, which offers even longer flight times and much quieter operation, which is proves invaluable at weddings, or wherever drone operation could quickly become an embarrassment. Check out my full comparison between the DJI Spark, Mavic Pro and Mavic Air here. This post was compiled using Shotkit submissions by wedding photographers between 2014 and 2019. I believe it represents an invaluable insight on the camera gear used by wedding photographers around the world, and arguably the best camera gear for wedding photography available. Disclaimer: All recommendations are impartial and based on user experience, with no bias to the products of the brand. 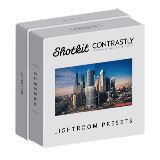 The products in this post contain affiliate links which help support Shotkit. This is an awesome post buddy. It would be very helpful. 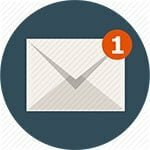 I would suggest my friends also to visit this blog. You just made me your follower. Great Article!! Mark, will it be possible for you to help me with a combination of budget camera and lenses i can buy to start wedding photography. Currently i have Nikon D5200 with 35mm 1.8 lens. I want to start with wedding photography but not sure which camera and lens to buy. I am SERIOUSLY considering changing to Mirrorless. Could you please do an article about Pros and Cons for wedding photographers using Canon and Fuji ? Also if anyone can give me some advice, I would really appreciate it. 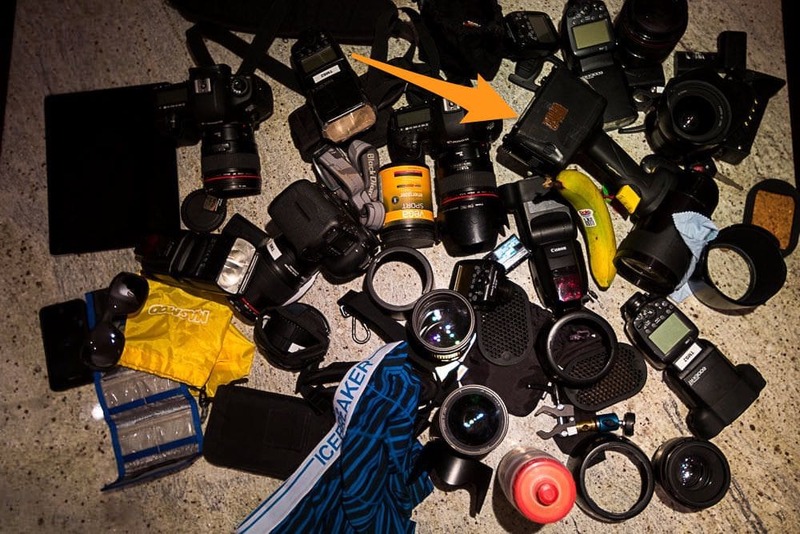 The gear Its getting pretty old ( not happy with focusing and image quality anymore – probably needs some maintenance )and i really don’t have the budget for 5Dmk 4 or 1dX so I am thinking to sell everything and maybe get 2 Fuji xt 2 with 2 prime lenses… Would this be a wise decision? the only thing im scared of its battery time and fast focussing ( im a fast shooter, not into posing very much ). I am manly a wedding photographer but i do occasional Lifestyle, studio and events. 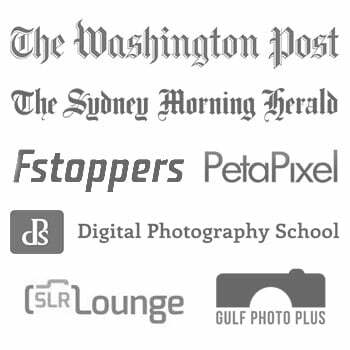 Nice & Informative article , i personally use for wedding photography Canon EOS 5D Mark III and Nikon D750 is also good. Fantastic website with lots of useful information! Thank you. I agree about the Canon 5D Mark IV as it’s a great camera. Amazing in-depth detail and wedding photography gear. So well explained. 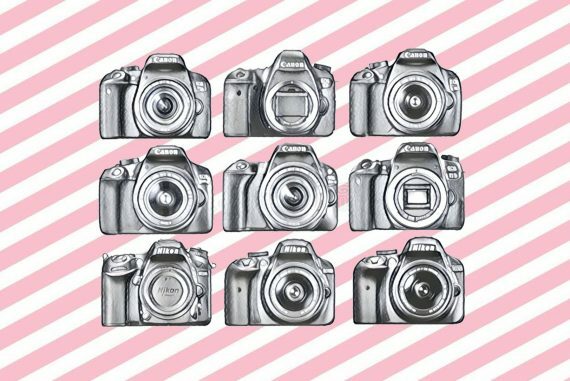 I have been with Canon for many years, but Nikon and Sony seem to be leaving them behind. I hope the new canon 5D M4 will make up lost ground or it will be time to jump ship. This is 80-200 2.8 mk. III on the photo. No? Very interesting article. 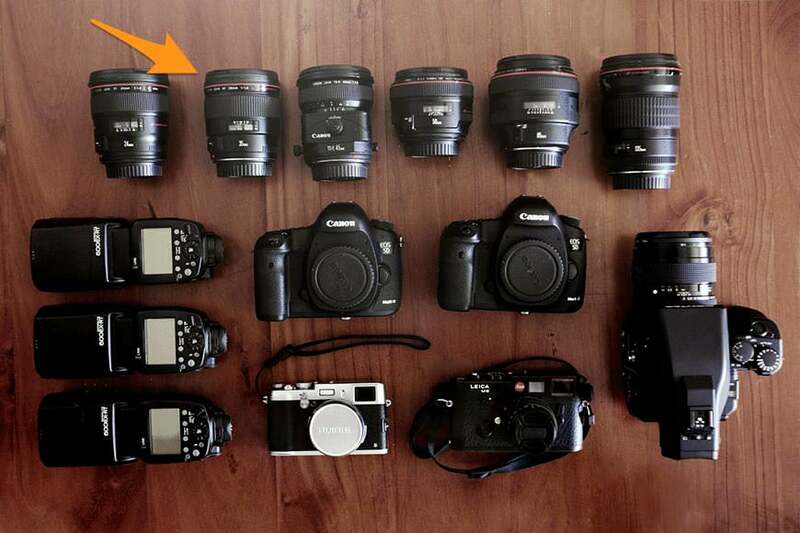 I am surprised that the new Sony mirrorless (7RII and 7SII) dont appear here. I think it will be in one or two years, isn’t it? Yeah I agree Monique. It’s just starting to gain popularity with wedding photographers. 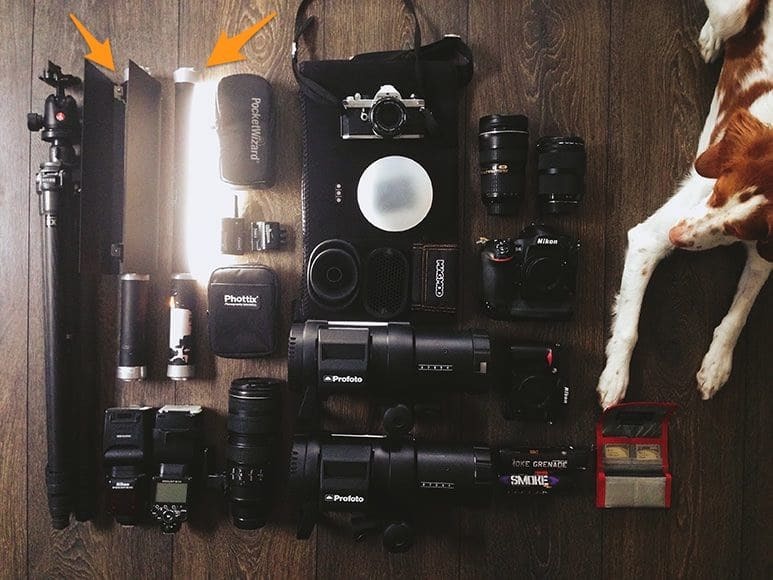 Have a look at Emin Kuliyev on Shotkit as an example. 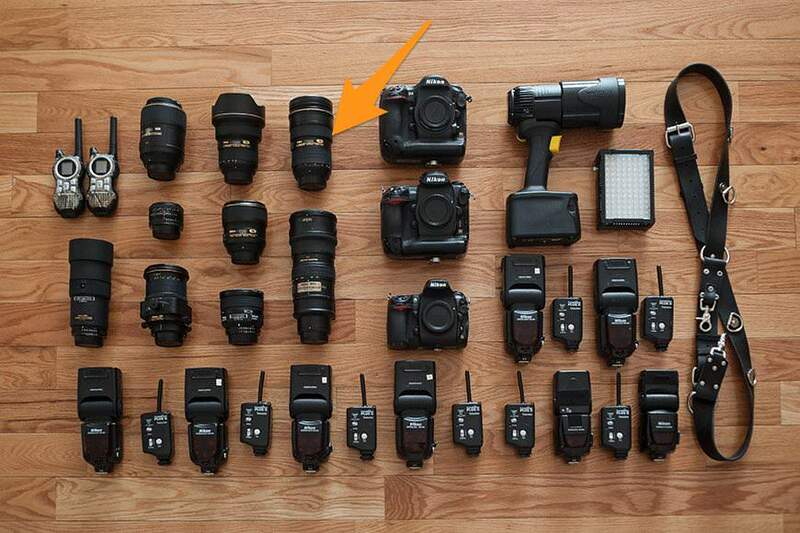 Very funny way to show the gear of wedding photographers.It would be very useful to show what situation the different gear is used to show a photo and match the gear, no? Glad you found it funny, Bo :D I agree that would be useful, but unfortunately this wasn’t possible this time. I wanted the Df to work for me but as a wedding photographer but I have to say that I can’t recommend it. It’s a beauty for sure with plenty of charms but the fact that it 1, has worse AF than the cheaper D750, 2, has 1 few card slot vs the cheaper D750, and 3, is WAY more expensive than the (notice a theme here?) 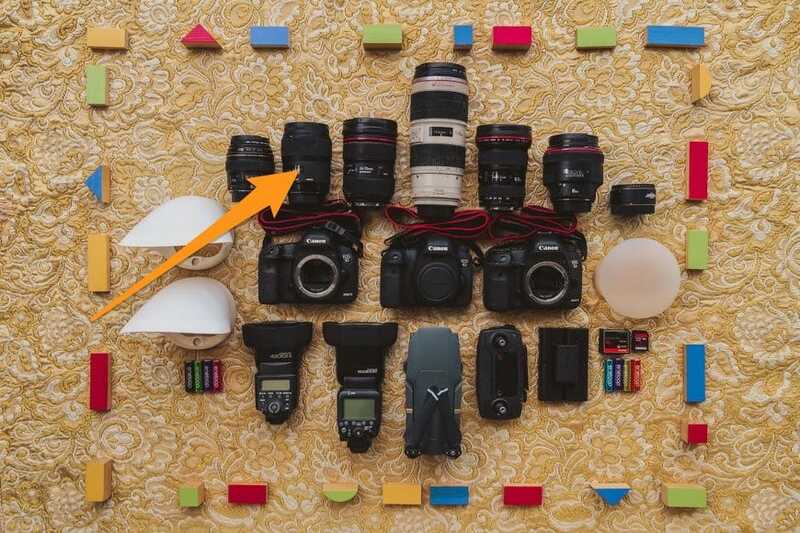 D750… It just don’t make no sense. It could not focus my 58mm 1.4G wide open. That’s a big deal. I moved to the D750 and now regularly track subjects moving at 1.4 with that razor thin DoF lens. I know wedding people who do use it still, but they all complain about these glaring omissions by Nikon. I’m really into the concept though so I’m super hopeful for a DF2. All they need is the same sensor and the updated AF, and I’ll even ignore the single card slot. Personally I love the canon. Its got everything I like in a camera. Alright everyone…. I keep going back and forth with the 5D Mark iii and Sony A7R. Why doesn’t this make the list? Isn’t it suppose to be better than the 5D as well as lighter and has an electronic viewfinder. Is mirrorless the way to go now? 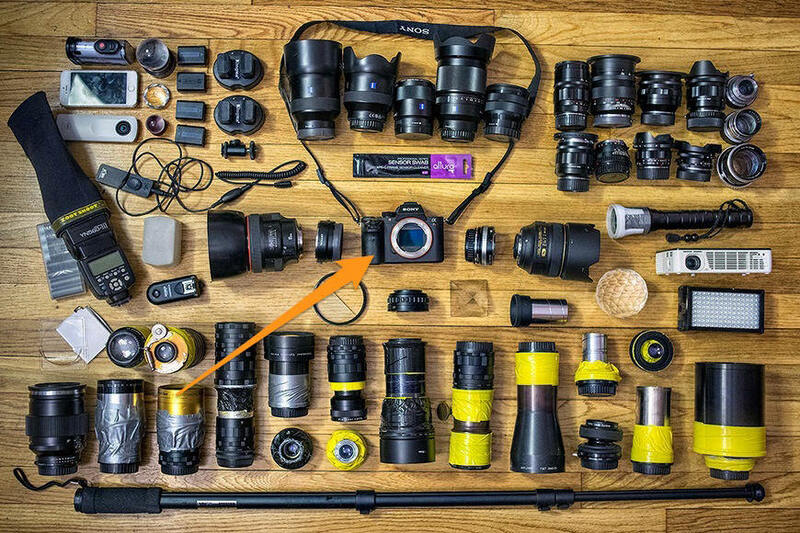 I know there aren’t as many lenses but it seems like they are coming out with more and more to where its not an issue anymore. I was surprised to not have received more Sony A7R submissions over the years, Rachel. 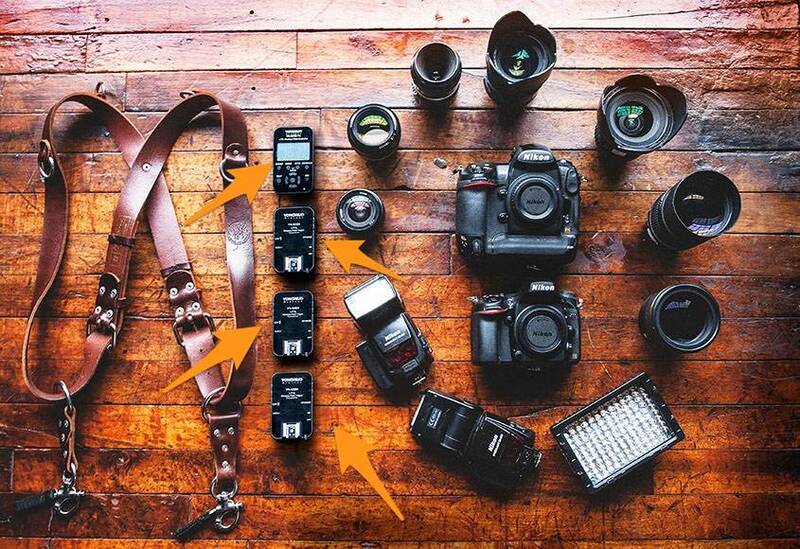 It’s an awesome camera but it seems most wedding photogs haven’t adopted it 100% yet. Maybe some fans can comment on this below. 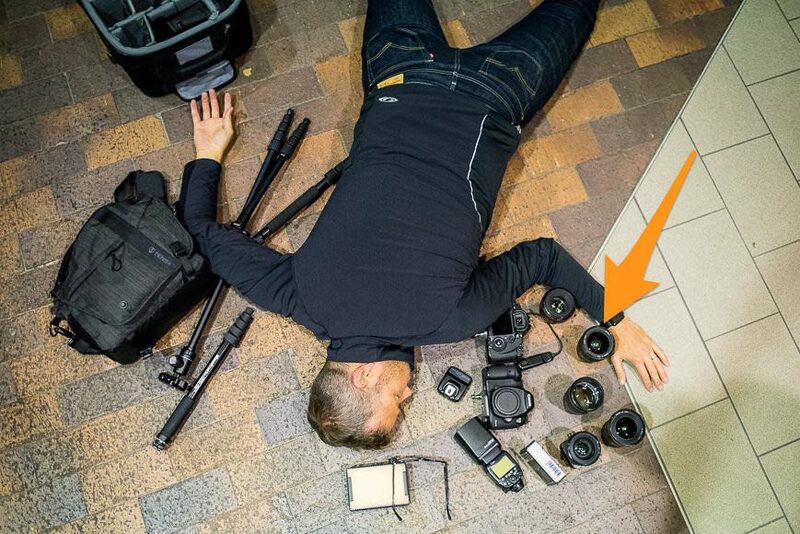 One thing’s for sure – I’m looking forward to someone submitting their pro Sony kit in the future! awesome post! i’ll be referring back to this as a resource for years to come, i’m sure. love everything you’ve been doing with shot kit! Damm! This is going to take some re-reading! Great blog post. Still surprised that the Canon 35 1.4 L or the Sigma 35 1.4 Art are not on this list. Seems to be the go to lens for documentary styled wedding photographers. But great website, thoroughly enjoying it! You’re right Marcel, the 35mm is an essential lens, whatever the brand! It’s just this page, isn’t it? Not the whole site I hope! Sorry but you’ll just have to view this one on desktop until I find a solution. Awesome write up, a fantastic use of the unique information found on ShotKit. I can’t wait to read more. Quick Note: The Nikon Df only has a single SD card slot, not the two mentioned in it’s summary.